In the high mountains, the trend is towards spectacular viewing platforms and floating bridges. 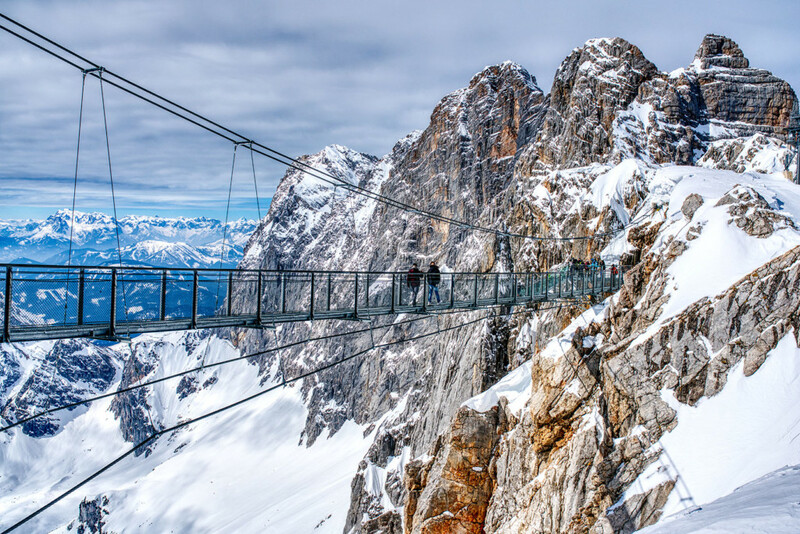 At the Dachstein, at 2995 meters there is the Suspension Bridge. It is perfectly safe to walk over, but people who are afraid of heights should not look down.